By the time he made The Kid, Charlie Chaplin was an international movie star whose films had begun to earn a million bucks apiece. And although he’d been behind the camera since 1914, writing, directing, producing, editing and scoring his own films (as many as 35 in a single year), it wasn’t until he made his feature-length debut in 1921 that he graduated from being a gifted entertainer to a genuine artist. (Read all about that in Glen David Gold’s epic novel Sunnyside). 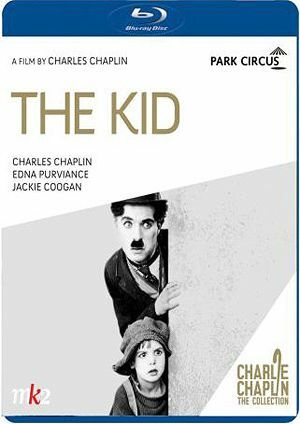 Watching this painstakingly restored High-Definition re-issue of The Kid, you can see with crystal clarity the artistic leap Chaplin made. The endlessly inventive knockabout comedy’s still a riot, but the simple story of Charlie’s beloved Tramp adopting the titular orphaned waif (astonishing child actor Jackie Coogan, who would, four decades later, morph into The Addams Family’s Uncle Fester) is elevated by real pathos. Extras include introduction, docs, deleted scenes, and Chaplin showreel. Also available in Blu-ray.